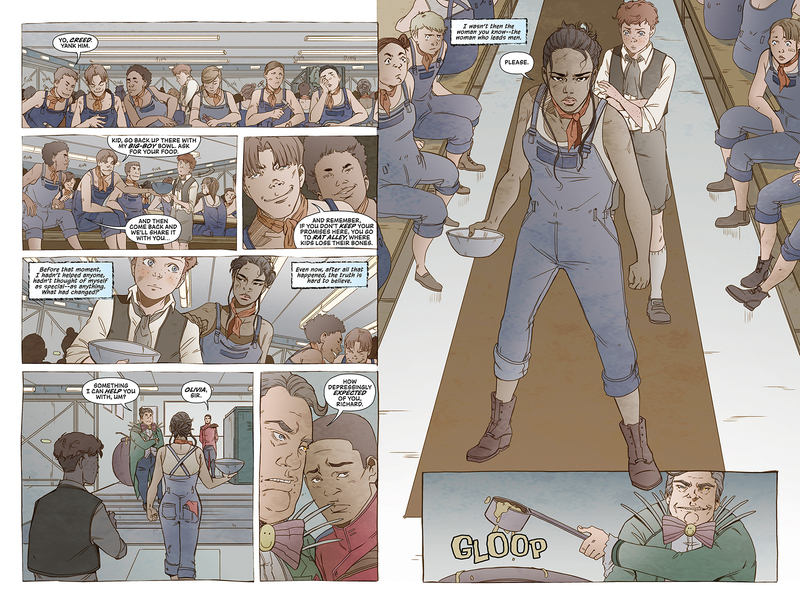 Dark Horse Comics have announced the latest offering from the critically acclaimed “Berger Books” imprint, Olivia Twist, a female-centric futuristic fable. 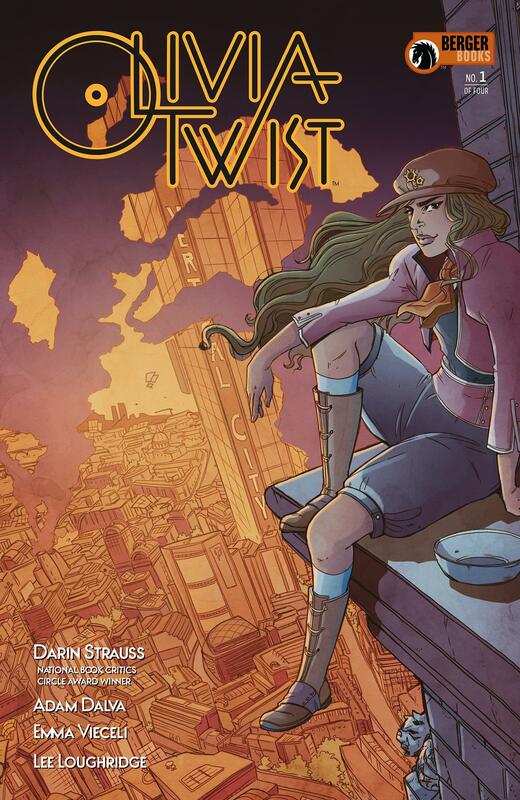 Olivia Twist marks the first time internationally bestselling novelist Darin Strauss (Chang and Eng, More Than It Hurts You) will venture into the comics medium. Winner of the National Book Critics Circle Award for his memoir Half a Life, he’s joined by short fiction author Adam Dalva (Tin House, Guernica) as cowriter. 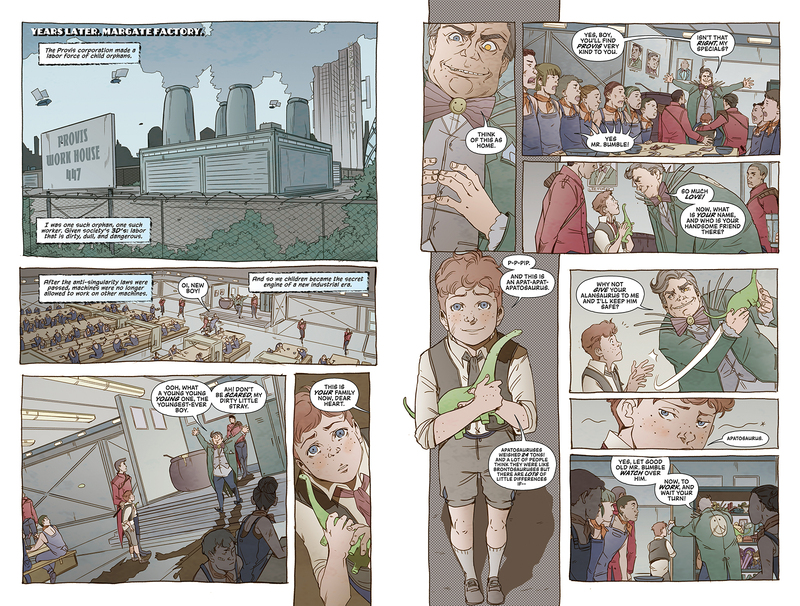 Artist Emma Vieceli (Vampire Academy, The Adventures of Supergirl) and colorist Lee Loughridge (Briggs Land) bring the series to illustrated life. Top women comics artists, Vanesa Del Rey, Tula Lotay, Sana Takeda and Emma Vieceli, create the gorgeous cover art for this reimagining of the classic character. In a dangerous future London, teenage orphan Olivia Twist joins the Esthers, a rag-tag gang of girl thieves, to save a boy she barely knows. Led by the elegant, queenly Fagin, they steal from the rich inhabitants of Vertical City while battling the illegally-augmented Trads for control of the streets. But Olivia’s life of newfound friendships in this world of internment camps and dark technology gets even more complicated when she discovers that she has more power and wealth than she’s ever dreamed of. But it comes at an unfathomable cost. The first issue of a four-part miniseries, Olivia Twist goes on sale September 19, 2018, and will be available for preorder at your local comic shop later this month for $4.99.